The attorney representing James Doe in the "hush money" case against Dennis Hastert is claiming that Hastert paid her client $1.7 million in cash because he wasn't trying to hide anything. This is one of the most insane arguments that I have ever heard come from an attorney, and that's saying a lot! Kristi Browne, who is representing Curtis T. Williams aka James Doe, told Judge Robert Pilmer that she needs Hastert's bank records so that she can establish that by being paid in cash, her client was also open about the "hush money" payments and not trying to keep them a secret. Browne ludicrously contended that if Williams and Hastert were trying to keep the "hush money" payments secret, Hastert would have paid Williams by check. Don't checks leave a paper trail, Ms. Browne? Or are most criminals just paranoid? By the way, since Williams was supposedly not trying to hide anything by accepting the $1.7 million "hush money" in cash, perhaps Browne will show us the "hush money" deposits slips from his bank. And while she is at it she can also tell us if he reported his cash windfall to the IRS? 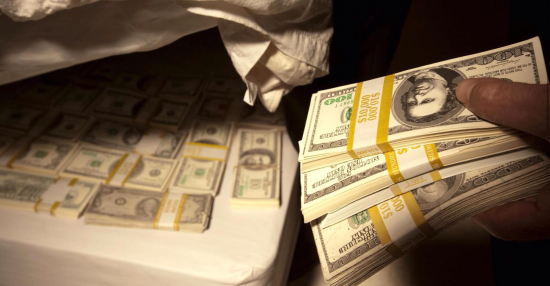 Or did he just transparently stuff the $1.7 million under his mattress? IP2P asked Ms. Browne if her client reported his cash windfall to the IRS, but she did not respond. Interestingly, if Hastert had written checks instead of paying by cash he would not have gone to prison for structuring. If all of this wasn't crazy enough, Browne told reporters after the court hearing that she plans to file a motion asking Judge Pilmer to close the courtroom to the public in order to keep James Doe's identity a secret even though he has already been identified as Curtis T. Williams. 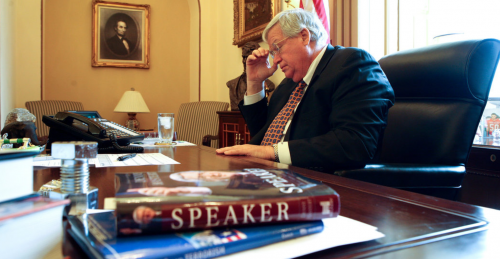 Could Hastert Case be Heard in Secret? The question is: Will Judge Pilmer continue to tolerate such insanity in his courtroom? ALERT: The Hastert story is about to take a wild turn! Chicago Tribune's Christy Gutowski reported that former House Speaker Dennis Hastert retracted his accusation that Mr. Doe (Individual A) was extorting money from him in her story on the civil case of James Doe vs Dennis Hastert. She obviously did not fact check that claim. Because the former speaker is still implying that he is being blackmailed in recent court documents. IP2P emailed Gutowski to get verification of the claim that Hastert retracted his accusation. Did you fact check Ms. Browne's claim that Dennis Hastert has retracted his accusation that "Individual A" was extorting money from him? Where and when did Hastert make this retraction? In response, Kristi Browne, the victim's attorney, said in her recent court filing: "Hastert engaged in illegal conduct by failing to make proper disclosures in connection with withdrawing funds from his bank accounts in violation of banking law, rendering himself and the agreement between the parties the subject of a federal investigation. Hastert was the first to disclose his agreement to pay Mr. Doe to federal officials, but falsely accused Mr. Doe of extortion, an accusation he has since retracted." Gutowski did not reply to our email. When Gutowski was contacted by phone to discuss the seemingly fraudulent claim that Hastert had retracted his accusation, she refused to answer any questions and stated: "You will have to speak to my editor, I am just a reporter" before abruptly hanging up. Is she implying that her editor at the Chicago Tribune is responsible for the false reporting? Why would the Tribune do this? Especially since the Tribune has already reported that it knows the identity of "Individual A"? Perhaps the Tribune knows that if it was determined that "Individual A" was indeed blackmailing Dennis Hastert that the public would demand to know who he is? The Tribune also knows that if it were to reveal the identity of "Individual A" it would not only confirm that Hastert was being blackmailed. 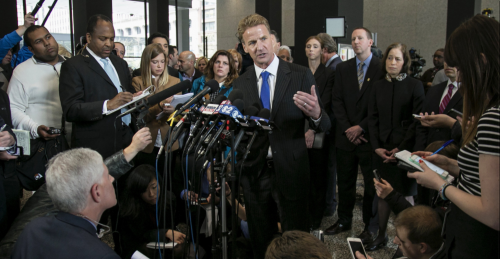 It would also raise new and serious questions that would open a can of worms that U.S. Attorney Zachary Fardon desperately wants to keep closed to the public. And lets face it, we all know that when the U.S. attorneys office in Chicago says "jump", the Tribune asks: "how high?" Nice try Zachary. But we are not falling for your "fake news"
Buckle up, folks. The Hastert story is about to take a wild turn!